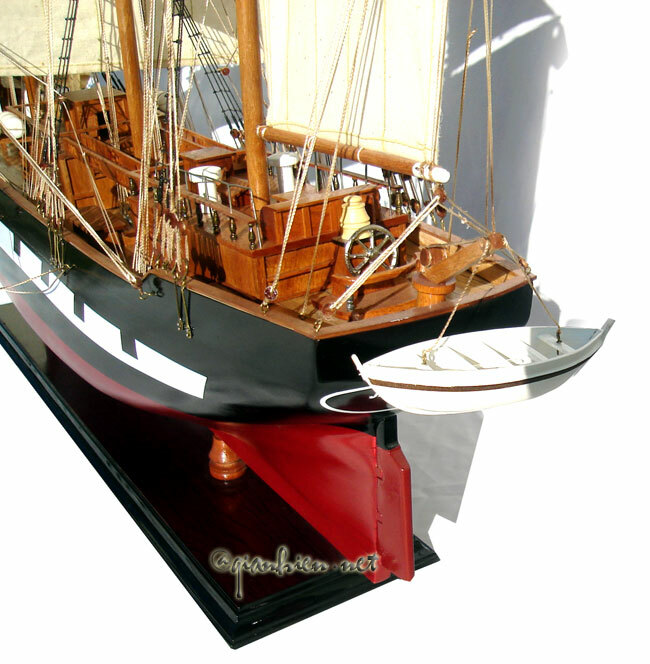 Our model is hand-crafted from hard wood with planks on frame construction and painted as the original real boat. Model is fully assembled and ready for display. 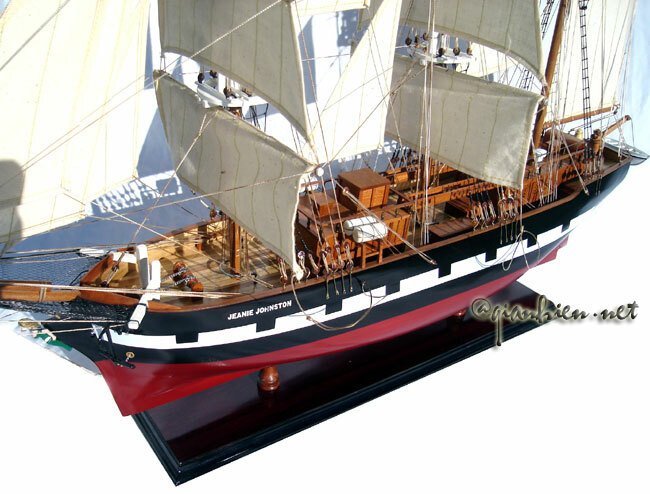 The original Jeanie Johnston was bought by Tralee, Co.Kerry-based merchants John Donovan & Sons, as a cargo vessel and traded successfully between Tralee and North America for a number of years. The trading pattern was to bring emigrants from Ireland to North America, and then to bring timber back to Europe. She made her maiden emigrant voyage from Blennerville, Co. Kerry to Quebec on April 24, 1848, with 193 emigrants on board, as the effects of the Famine ravaged Ireland. Between 1848 and 1855, the Jeanie Johnston made 16 voyages to North America, sailing to Quebec, Baltimore, and New York. 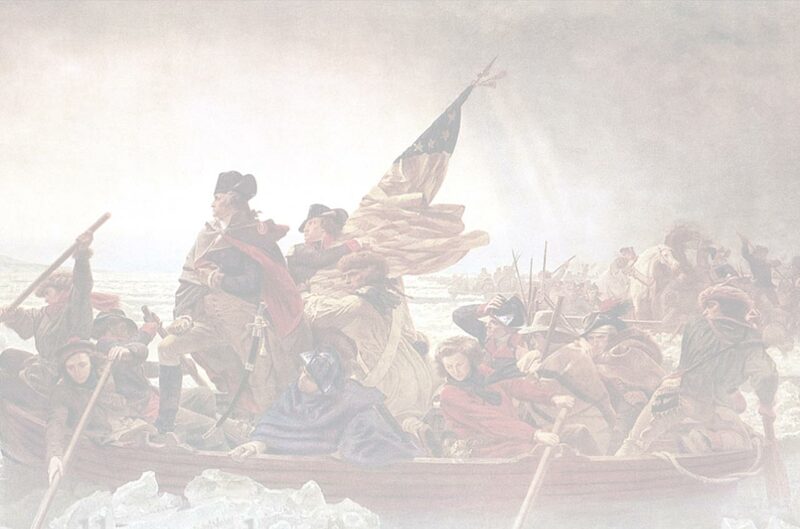 On average, the length of the transatlantic journey was 47 days. 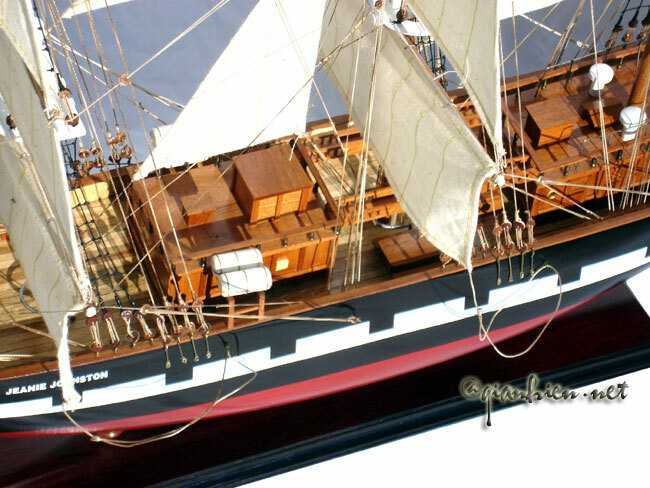 The most passengers she ever carried was 254, from Tralee to Quebec on April 17, 1852. To put this number in perspective, the replica ship is only licensed to carry 40 people. Despite the number of passengers, and the long voyage, no crew or passenger lives were ever lost on board the Jeanie Johnston. This is generally attributed to the captain, James Attridge, not overloading the ship, and the presence of a qualified doctor, Richard Blennerhassett, on board for the passengers. 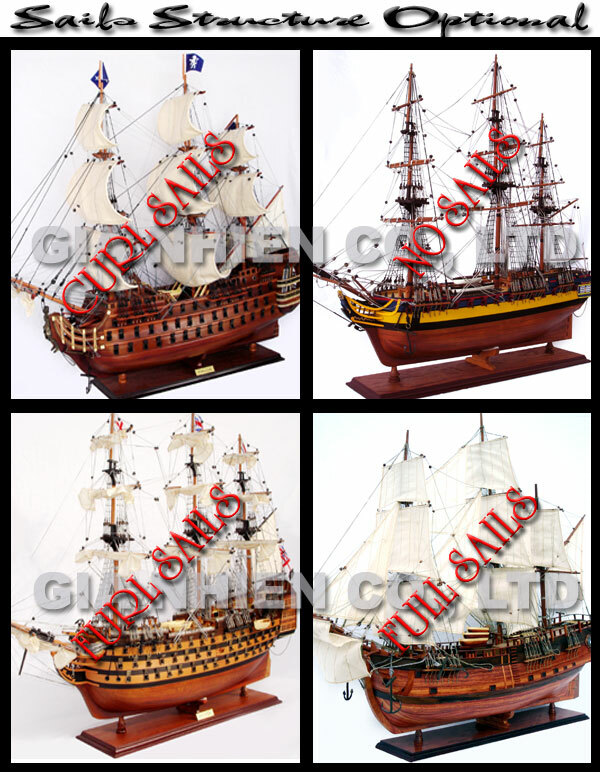 In 1855, the ship was sold to William Johnson of North Shields in England. 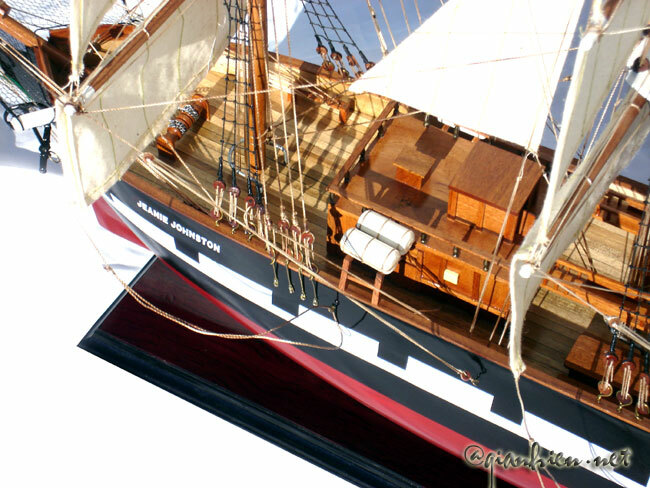 In 1858, en route to Quebec from Hull with a cargo of timber, she became waterlogged. The crew climbed into the rigging, and after nine days clinging to their slowly-sinking ship, they were rescued by a Dutch ship, the Sophie Elizabeth. Even in her loss, she maintained her perfect safety record. 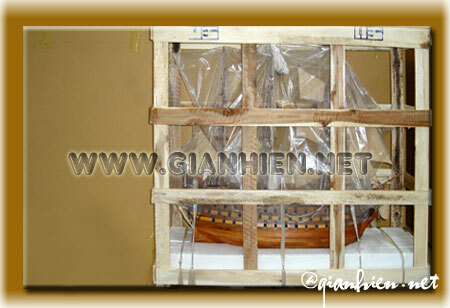 The building of the replica ship began with in-depth research in 1993, and culminated in the completion of the vessel in 2002. An international team of young people, linking Ireland North and South, the United States, Canada and many other countries, built the replica under the supervision of experienced shipwrights. 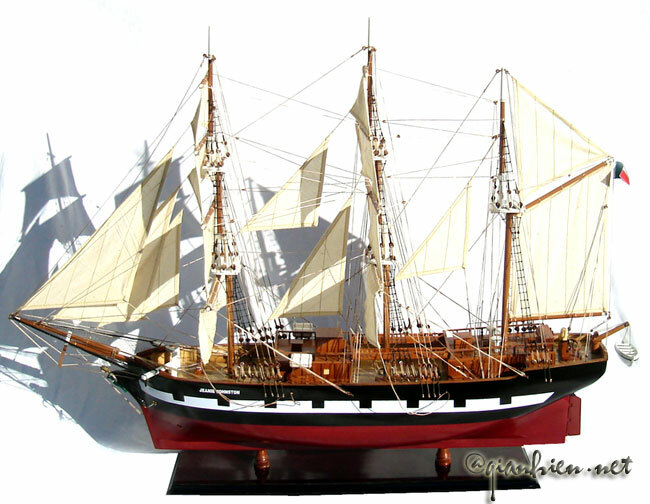 The ship was designed by Fred Walker former Chief Naval Architect with the National Maritime Museum in Greenwich, England. 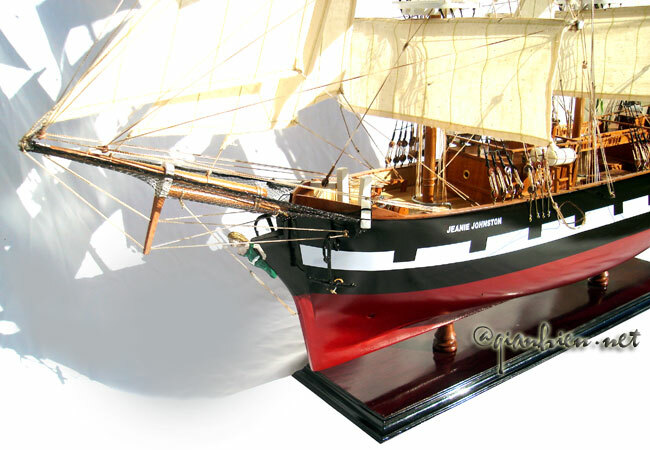 The recreation project was modelled closely on that of the 17th century ship, the Batavia. The ship is built with larch planks on oak frames. To comply with current international maritime regulations, some concessions to modernity had to be made. She has two Caterpillar main engines, two Caterpillar generators, and an emergency generator that is located above the waterline in the forward deckhouse. She is fully compliant to the highest standards of modern ocean-going passenger ships, with steel water-tight bulkheads, down-flooding valves, and fire-fighting equipment. 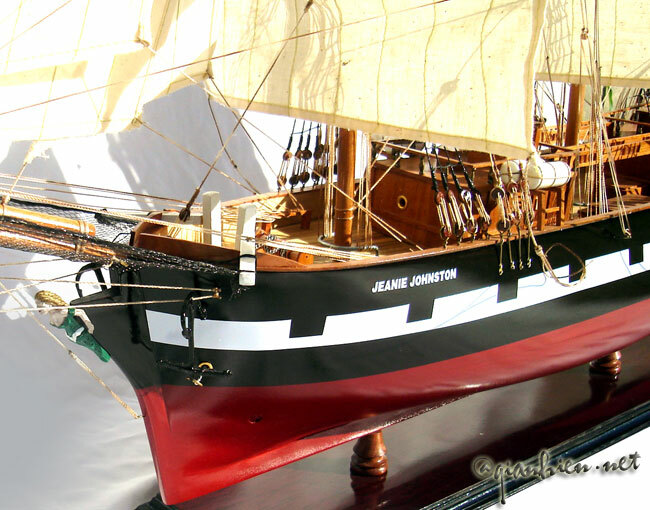 In 2002 the replica Jeanie Johnston sailed from Tralee to Canada and the USA. She has taken part in the Tall Ships Race and is currently operating as a sail training ship. 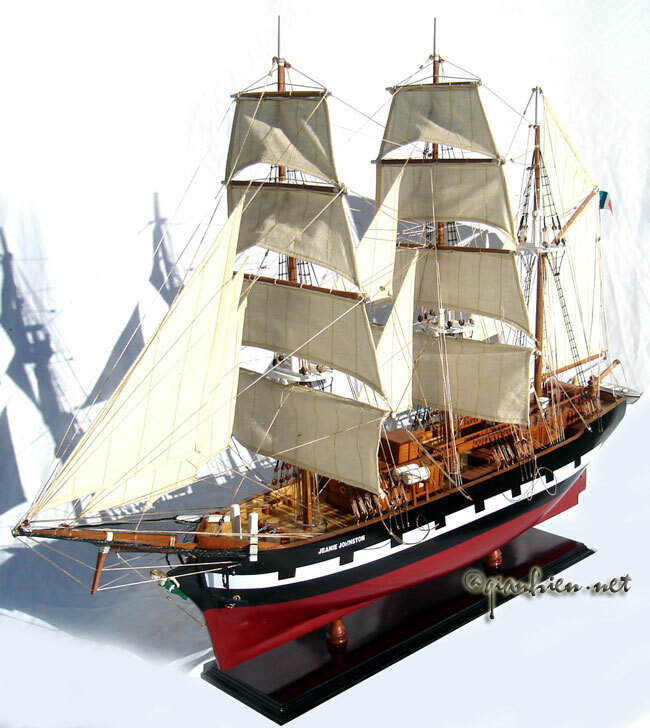 Other notable Irish tall ships or sail training ships are the Asgard II, the Dunbrody, the Lord Rank(N.I.) and the Creidne(I.N.S.). This list will be extended as time permits. Many, many more people gave time, money and support to this project, whose names have not been listed anywhere, but without whose goodwill, the project would not have been completed.